Back row: Bob and Steve Delgado and David "B" Kelley. Front row: Joey Delgado, Sherry Pruitt and Stephen K. Peeples. Photo: Peter B. Sherman. 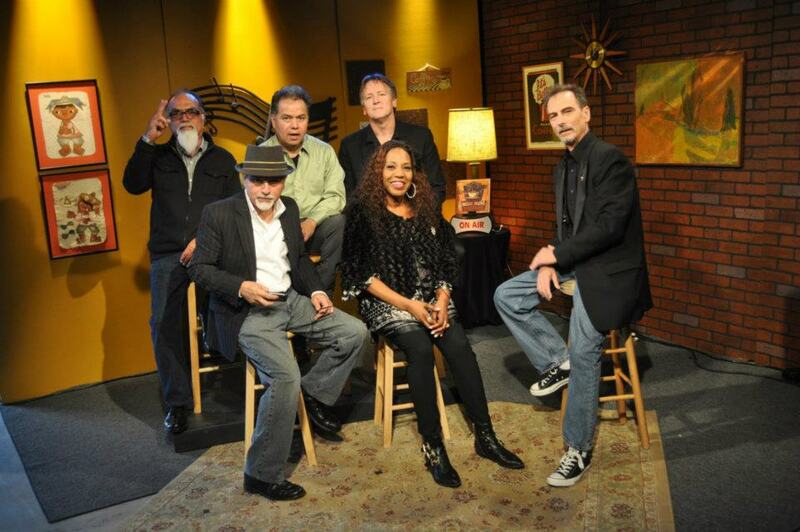 The WAVE award-nominated “House Blend” on SCVTV hosted by Stephen K. Peeples presents the premiere broadcast featuring SCV Blues Society stars Sherry Pruitt and The Delgado Brothers and popular local contemporary classic-rock band The McGrath Project on Saturday, April 7, at 10 p.m. PT. In the opening segment of the half-hour show, Blues belter Pruitt and the tight-knit Delgados (Joey, guitar, Bob, bass; Steve, drums; with David “B” Kelley on keys) perform “It’s Amazing” and “I Need a Man” from the band’s just-released “Sherry Pruitt Blues Project” CD. Between tunes, Sherry and the brothers also chatted with Peeples for a few minutes about their respective careers, and joining forces for the new album. In the second half of the program, Grammy-winning producer Gary McGrath (guitar, vocals), Ann-Marita (vocals, guitar), Moses Sparks (bass), Phil “Mr. Squeeze” Parlapiano (keyboards) and Lynn Coulter (drums, percussion) perform “Casey’s Last Stand” and “It’s Alright” from the band’s “Boom!” album, due out in May. From left: Phil Parlapiano, Gary McGrath, Lynn Coulter, Ann-Marita, Stephen K. Peeples and Moses Sparks. Photo: Mike Dowler. McGrath and the bandmembers also chatted with Peeples for a few minutes between songs about recording the new album last fall and the challenges they’ve faced finally getting it released. “House Blend” is co-produced at the SCVTV Media Center in Newhall, Calif., by Peeples and SCVTV’s Megan Mann-Perez, who also directs with SCVTV’s Austin Dave. Veteran concert/film/TV sound designer and SCVTV VP/engineer Michael R. Mazzetti produces the sound. SCVTV Leon Worden is the executive producer. “House Blend,” which premiered on SCVTV in September 2010, airs Saturdays and Thursdays at 10 p.m. Pacific Time on SCVTV. It is seen on Time Warner Cable Channel 20 in the Santa Clarita Valley, and AT&T U-Verse Channel 99 throughout Los Angeles and Orange counties. The program also streams live at the same times everywhere via the Web at www.scvtv.com. 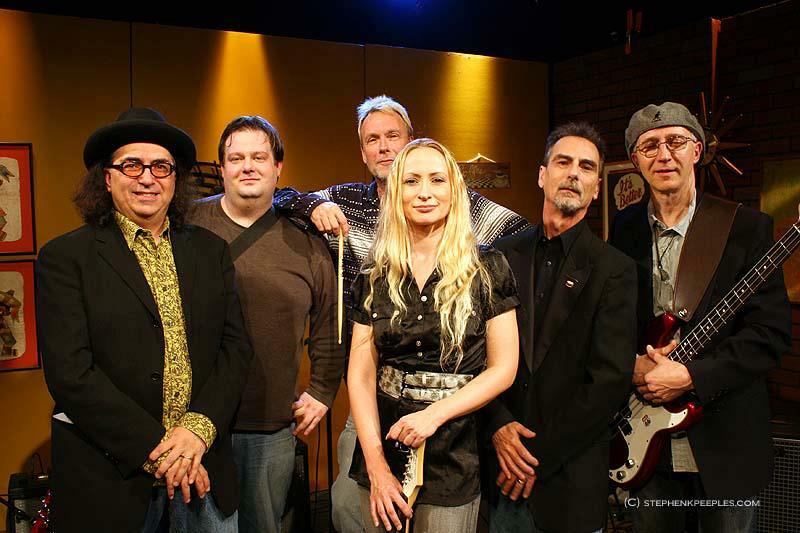 All “House Blend” shows — more than 30 original editions with music and interviews and a dozen all-music best-of compilations — are also archived and available on demand at SCVHouseBlend.com. A series highlight is the May 2011 program featuring folk-country-bluegrass legends Chris Hillman and Herb Pedersen, which was one of three finalists for a WAVE award from the Alliance for Community Media. Read more here.